The second in our series of Town Hall meetings will focus on how the City of Dayton is successfully leveraging strategic investments in our physical infrastructure, like roads, bridges, utilities, parks, rivers, airport runways, and more. 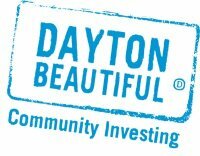 Join us as we share the 2009 plan for infrastructure investment, and explain how these investments help stimulate private investment, support Dayton’s “pride of place,” and enhance the safety, efficiency, value and vitality of our city. Free Admission. Passes for Transportation Center parking will be provided. Everyone welcome—please spread the word! This entry was posted on Thursday, April 23rd, 2009 at 7:31 pm	and is filed under dayton rocks! and tagged with Dayton, Meeting, Town Hall. You can follow any responses to this entry through the RSS 2.0 feed.